1. Avoid steep hills (25 maximum). 2. Check the terrain carefully. 3. 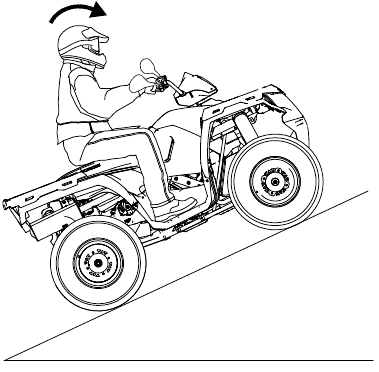 Avoid hills with excessively slippery or loose surfaces. 6. Keep your feet on the footrests. 7. Drive at a steady rate of speed to avoid stalling. 9. Never open the throttle suddenly or make sudden gear changes. 10. Never go over the top of a hill at high speed.